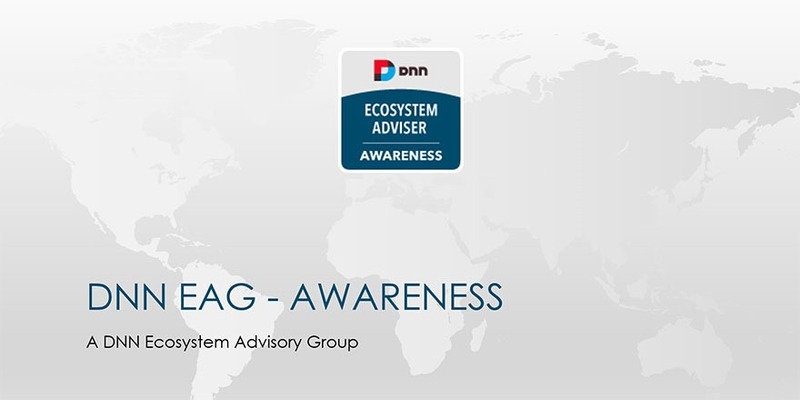 The Awareness DNN Ecosystem Advisory Group a held its April meeting today. We had some exciting updates from people like Tycho de Waard, Jay Mathis, Don Gingold, and John Slater. Among those updates are dnnsoftware.org progress, adding people to help with DNN efforts, and a new open source structured content solution to hopefully include as a default feature of DNN. In this meeting, we catch up a bit with each other and then we get right to business on keeping track of our goals. We like to have a theme to give people some inspiration for new DNN-based content. This month's theme for new content is DNN documentation.